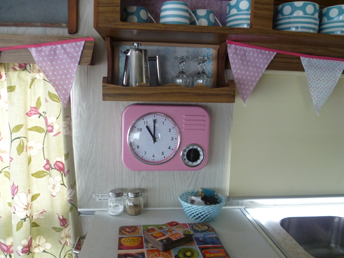 Vintage Retro Caravan Holidays - Available Now! 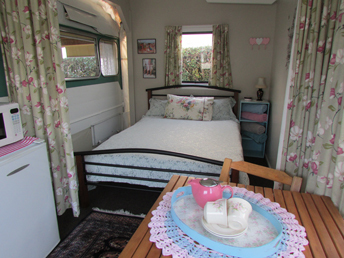 Enjoy an old-fashioned Kiwi camping holiday in our refurbished 1970's on-site caravan. 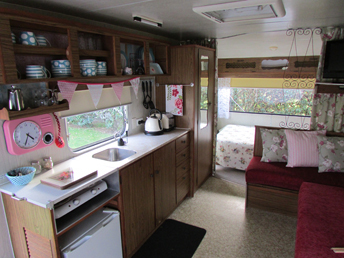 This 5 berth caravan features a double bed in the solid annex awning complete with pillows, sheets, duvet, and electric blanket! 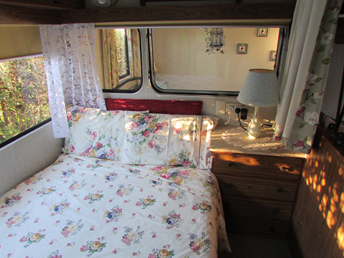 Inside the caravan there is a 3/4 size double bed, plus seating which doubles as 2 single beds, ideal for the children. 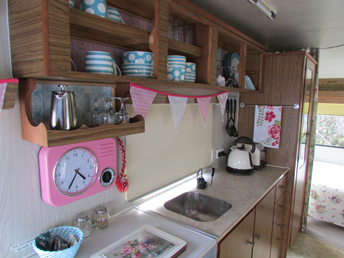 The kitchenette inside the caravan comes complete with crockery, cutlery, cooking equipment, and electric frying pan. A fridge and microwave are located in the awning area. By day the whole family can use the caravan as a lounge to play board games and relax, and by night the kids can snuggle down as the sofas convert into their beds. 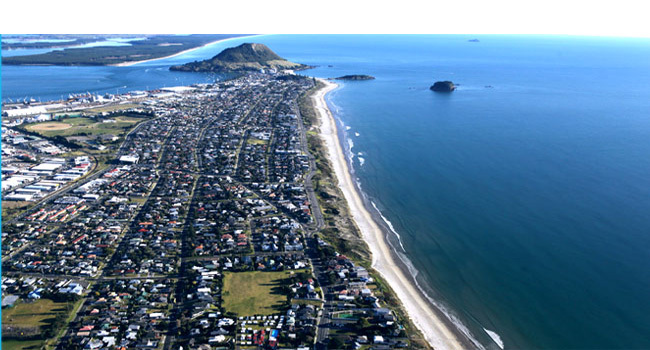 We provide bedding for the double bed in the awning only. If you have extra people with you, please bring sleeping bags or sheets & blankets, 2 pillows are provided. Please bring your own bath towels and swimming towels. The caravan is situated beside our camp amenities block where you will find clean, modern toilet & shower facilities, as well as a laundry and spacious camp kitchen. 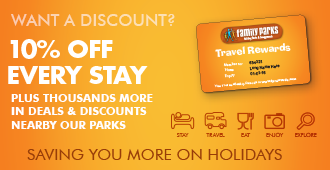 All guests receive free use of our 20 metre swimming pool (summer) and our Hot Tub. 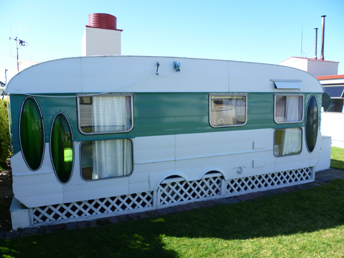 Please note that the caravan is not serviced during your stay.